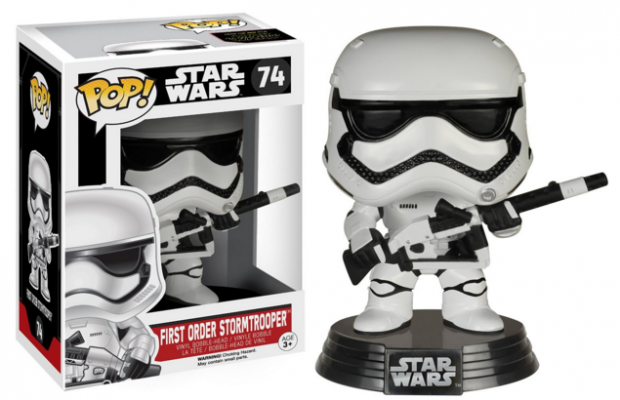 Funko Heavy Artillery First Order Stormtrooper Pop (Amazon Exclusive) Just $10 Down From $13! You are here: Home / Great Deals / Amazon Deals / Funko Heavy Artillery First Order Stormtrooper Pop (Amazon Exclusive) Just $10 Down From $13! Head over to Amazon and score this sweet deal on Funko Heavy Artillery First Order Stormtrooper Pop (Amazon Exclusive) for just $10 down from $13! Get yours now while it lasts!